Want to make a difference in the lives of individuals affected by multiple sclerosis? 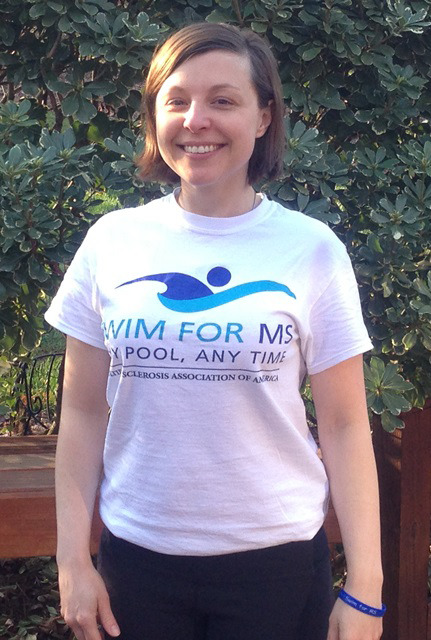 Swim for MS is our ongoing fundraiser where participants can set a swimming goal for themselves and collect donations from friends and family members as they swim. Not a swimmer? No worries! We’re looking for outgoing, passionate and dedicated individuals to become members of our Street Squad! What is the MSAA Street Squad? Street Squad members will work to spread the word about the Swim for MS fundraiser and raise awareness for multiple sclerosis. This can be done on social media or by visiting local businesses. Your efforts will help improve the lives of those living with multiple sclerosis. Street Squad members can receive service hours for their work by signing up online and following all instructions emailed upon registration. Please contact volunteer@mymsaa.org with any questions. Be emailed all information regarding our Street Squad program. Be given information and instructions for getting started, keeping track of your hours, and submitting your service to be verified. To register for Street Squad, please click here to fill out our interest form here.